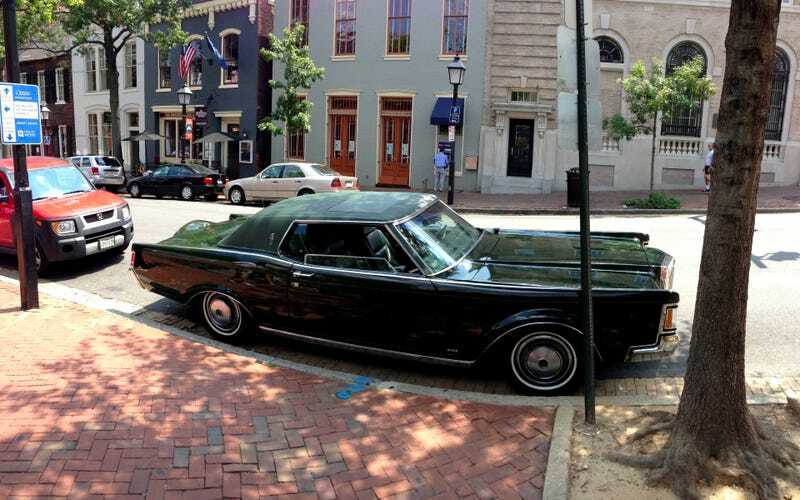 Walking around Old Town Alexandria just outside Washington DC, I happened upon this beautiful 1969 Lincoln Continental Mark III. I remember the old Mark series of Lincoln automobiles when I was a kid, they were swank. Seriously swank. Big, bold, bedecked with fake wood and vinyl, but definitely a status symbol for Americans of that era. Some of the design cues became iconic, such as the fake spare wheel hump, but later were transformed into a joke. I doubt we'll ever see that in any future Lincoln design language. Regardless, this example was beautiful and a pleasure to look at on a hot day in Old Town.